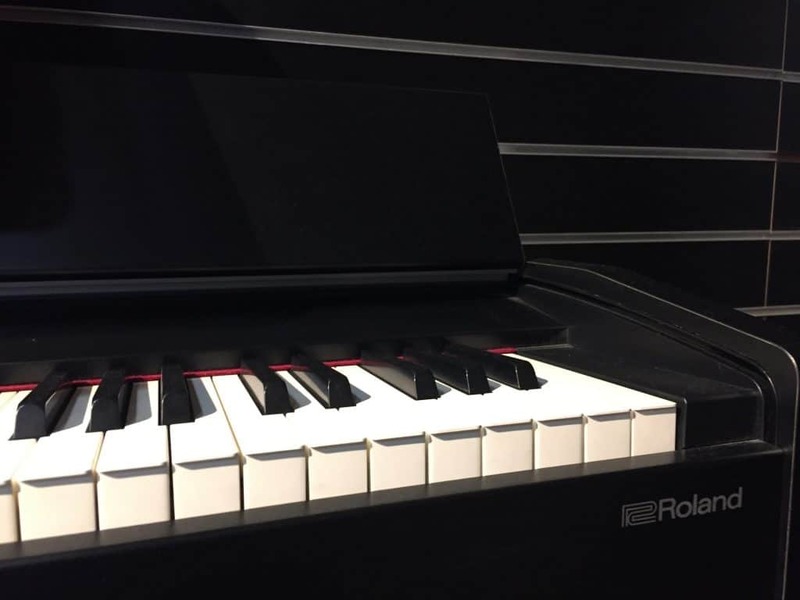 Roland makes some of the most beautiful digital pianos on the market. I’ve been hard-pressed to find one that I haven’t almost instantly fallen in love with, and the F140R is absolutely no exception. The play action on the F140R is second to none. The PH4 standard keyboard featuring escapement and ivory-feel keys, make this fantastic keyboard a sheer joy to play from the very first note to the final refrain. 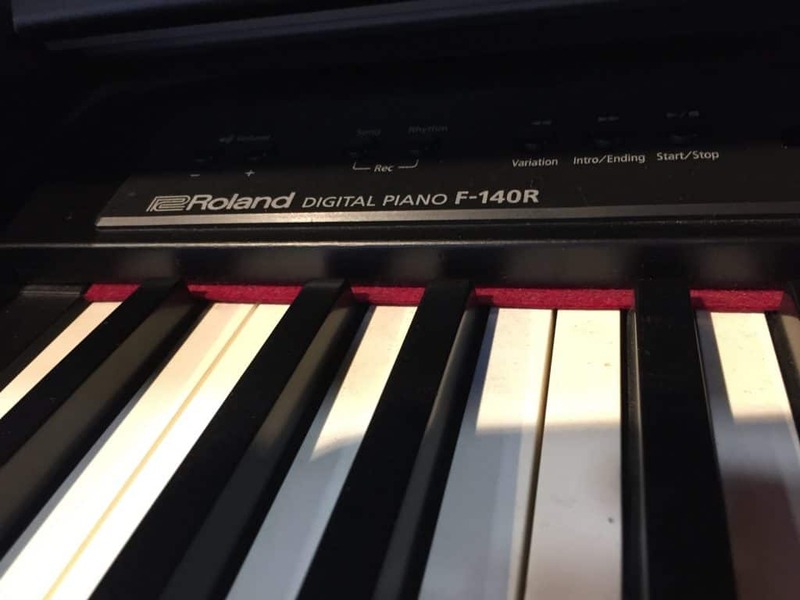 No digital piano is complete, of course, without fantastic sound quality, and the piano sound, driven by Roland’s SuperNATURAL sound engine, is tough to beat. 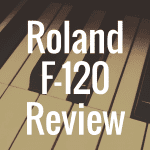 In this article, I’m going to provide an in-depth review the Roland F-140R piano. 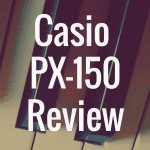 And, to better help you determine if this is the right piano for your needs, please use the interactive table below to compare the F-140R to a handful of other great digital pianos. Roland has been making digital pianos for over 40 years. They invented the touch-sensitive keyboard and for a company who don’t make acoustic pianos, like Yamaha and Kawai, they’ve certainly put the pianistic into the play-feel of their keyboards. What I particularly loved about the F140R was that the feature set is incredibly impressive despite the instrument’s compact size. And for the price, it’s hard to find an instrument with a better instrumental voice selection. 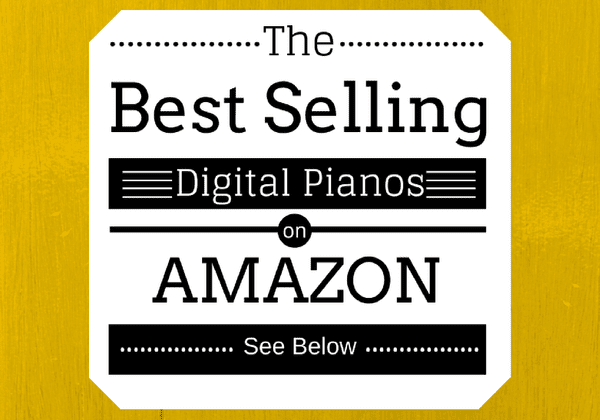 Below, please take a moment to view some of the best-selling digital pianos currently on sale on Amazon. With 11 separate piano sounds, you’re going to find one that perfectly suits your style of playing. There are 11 different piano voices, all of which are editable to include a wide range of room ambiance settings. The default piano sound (Concert Piano) has a nasal warmth around the mid-range, a sweetness at the top and a warm and throaty bottom end. The unique manner in which the SuperNATURAL sound engine combines with the 128 note polyphony, creates a sound full of the natural overtones and harmonics of the acoustic instrument. It models the sound you hear based on the combination of notes that you play, rather than just triggering samples which don’t respond to each other. This is what, I believe, gives the SuperNATURAL engine the edge over their competitors. The 2nd piano sound (Ballade Piano) is a much brighter sound with a balance of frequencies throughout the entire octave range but retaining the warmth of Concert Piano around the mid-range. Great for jazz. There are a selection of combined piano voicings, such as Magical Piano, which layers an electric piano with the Concert Piano; this may sound as if it’s destined for the cheesiest of 80s teen flicks, but it’s actually pretty usable if you stick around the bottom and mid-range of the keyboard. It sounds pretty awful the higher up the keyboard you go, heading into B-side Whitney ballad territory, so it’s worth avoiding the top notes. You have to play quite hard to get the acoustic piano to cut through the electric, which actually makes it quite a colorful electric piano. With 305 other sounds to play with, including 8 drum sets and a sound-effects bank, there’s plenty to keep you occupied for hours. The keyboard has an instantly recognizable, convincing keyboard action. I was expecting this lower-end Roland to make sacrifices in the keyboard action, but I’m really happy to report that the keyboard, with its five, touch sensitivity sensors, is as responsive to play than any of the higher-end Rolands I’ve played. The keys are made from a plastic composite with “ivory feel” that give the keyboard an attractive tactility that almost begs to be played. The weighting of the keys are super-realistic, providing a marvelous interface between the fingers and the instrument. The keyboard is perfect for piano lessons – with Dual and Split keyboard modes that enable you to divide the keyboard down the middle to make piano lessons more bearable. The realistic nature of the keyboard is further enhanced with the mechanical escapement that you get with acoustic pianos. Although escapement, strictly speaking, isn’t necessary for a digital piano (as there are no hammers hitting strings), it’s a useful addition to the feature-set. If you’re playing a fast, quiet passage, an acoustic piano requires you to perform “above the escapement,” otherwise notes won’t play consistently. 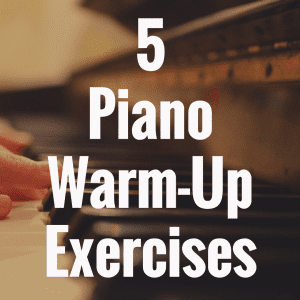 It’s useful to have this feature with a keyboard that you’re likely to use as a practice instrument, as much as an instrument that’s going to provide years of playing enjoyment. 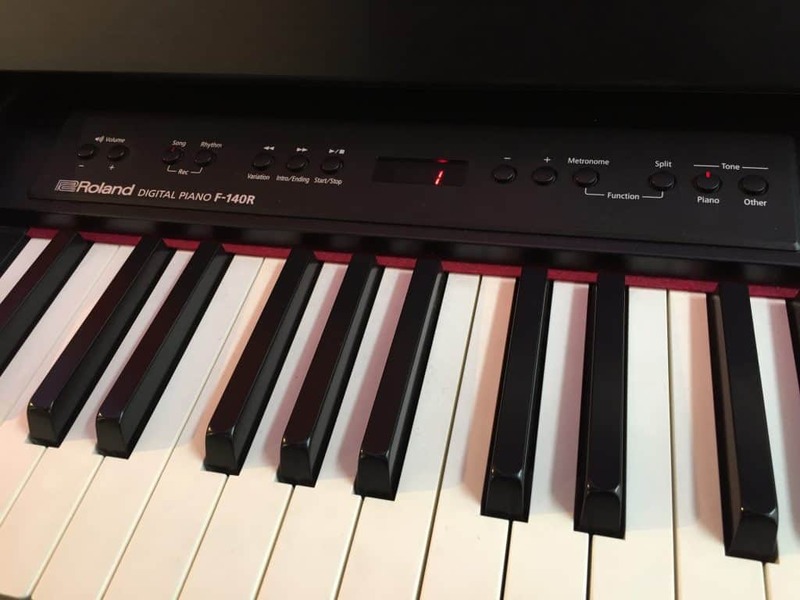 Other “piano lesson friendly” features include two headphone sockets, and the onboard metronome, which is an essential for accurate rhythmic practice. There are three foot-pedals, providing a soft, sostenuto and a damper pedal. 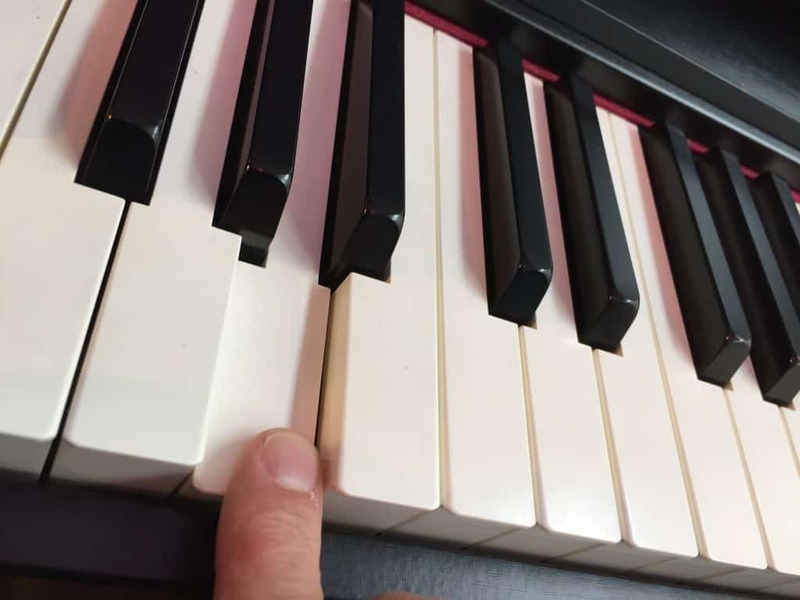 The soft pedal is capable of continuous detection – with a grand piano, it’s often possible to press the soft pedal, and slide it to the left to leave it permanently in place – the continuous detection feature replicates this. You can also assign the sostenuto pedal to a number of Bluetooth functions, including “page-turn” with iPad music-score apps. 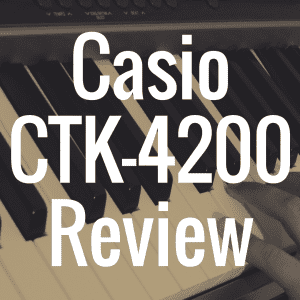 The built-in rhythm section is a fun feature of this keyboard, with some surprisingly smart ingredients that make this affordable digital piano a tremendous amount of fun to play. The intelligent accompaniment feature follows whatever you play while keeping everything in time with your choice of drum groove. But it’s not just a drum machine. When you play along with the drums, the F140R analyses the chords you play and creates detailed instrumental accompaniments in the form of pretty impressive bass lines, horn stabs and guitar licks. It really is like having a full band in your pocket. I’ve seen this feature in some of Roland’s higher-end keyboards and was impressed with the function – I’m not sure I’d use it much myself, but it would be great for parties. I was surprised to see it included in the feature-set of the F140R because the price-tag is much lower than the other models I trialed. For anyone who’s ever shared a house, you’ll know how valuable the ability to plug yourself in, truly is. It’s been the savior of many-a-household. But, the problem with wearing headphones for the user is ear fatigue. Your ears tend to get more tired, more quickly, when you have speakers strapped to your head. Which is why the 3D headphone experience you get with the F140R is so welcome. This keyboard sounds terrific through headphones. Rather than the slightly claustrophobic experience you get when blocking out the room around you, you get a huge, spacious sound that keeps your ears engaged, rather than tired and overwhelmed. Bluetooth really has revolutionized so many things around the home, and the musical instrument is certainly one of them. 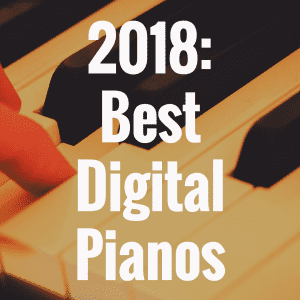 Most digital pianos are capable of being used as a MIDI controller, allowing you to connect to a Digital Audio Workstation, like Logic Pro or Cubase. Bluetooth, however, has expanded that capability way beyond controlling DAWs, by allowing you to wirelessly link to the many soft-synths or DAWs available on Apple’s iOS platform. There are some truly brilliant applications available, such as Korg Gadget and Steinberg’s Cubasis 2, which will help to expand your F140R into an EDM machine with literally no limits. Additionally, Bluetooth connectivity can attach the sostenuto pedal to a sheet music app for hands-free page turning. There are 2 x 12W speakers situated on the underside of the keyboard. They deliver a beautifully crisp sound at average volumes. This isn’t the loudest digital piano I’ve come across, but it’s entirely ample for most practical uses. The full volume is 103dB. The audio IN and OUT sockets are mini-jack style, which is a bit of a downside, as you won’t get as bright a signal if you were to amplify this keyboard through a PA. A 1/4” jack usually does the job better. There’s a USB MIDI port and a USB memory port, which allows you record a performance directly to a flash drive. The user interface is pretty basic but, in fairness, entirely ample. There’s a simple three-digit LED display, that confirms the instrument’s current function with a code (that you’ll quickly learn to decipher). There are plenty of buttons, however, that make switching voices, controlling rhythms and editing some of the instrument’s resonance factors, simple. And simple is all you need. The Roland F140R is a keyboard that’s marketed as a compact unit, perfect for students living in tight spaces. To delegate the F140R to the student market, however, somewhat undersells this impressive Roland 88 key digital piano. The fold-down lid protects the instrument (and potentially provides a working surface for other tasks), and in either white or black, this is a beautiful, quality instrument. I would gladly take this digital piano home with me. 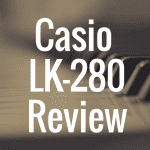 The play-feel and the brilliant array of sound voicings are absolutely top-notch. For the price, I don’t think you can get a better keyboard. 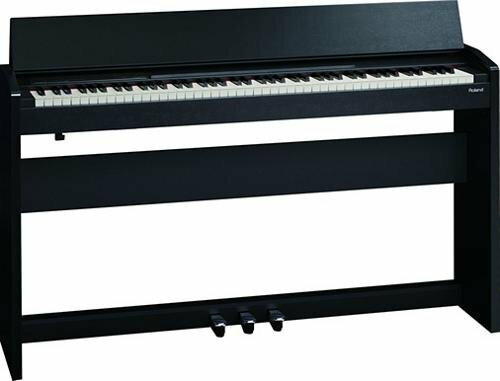 Kawai ES8 vs Roland FP90 review: Which is Better?